"Not All Plants Are Created Equal!" 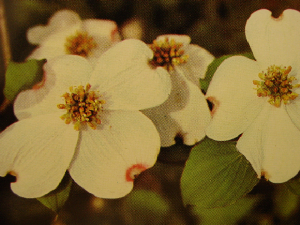 Native plants are the plants that grew in our region prior to European settlement. Over thousands of years, they adapted to the local climate along with other living creatures around them. Native plants and animals are interconnected parts fo our region's web of life. The quality of the air we breathe, the soil in which we grow our food and the water we drink rely on the health of this natural system. As we develop more land for roads , industry and homes, we alter the balance of this web. Native plant gardens can help preserve plants that are disappearing from natural areas and provide resources for wildlife in our neighborhoods. BENEFITS to "GOING NATIVE" - Native wildlife , including insects, birds, amphibians, reptiles and mammals, rely on native plants for food, shelter and nesting sites. 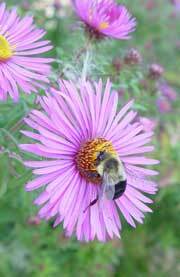 Since native plants and wildlife evolved together , they are best suited to meet each other's needs. Areas of high biological diversity offer more opportunities for plants and animals to be healthy and fight disease. Since native plants are adapted to the environmental conditions of an area, they generally require less fertilizer, water and care than non native ornamental plants. Few people realize that they have the potential for a nature oasis in their own backyard. And it all starts with native plants! We recommend a book called "Bringing Nature Home" by Doug Tallamy. Choosing native plants for your garden is an important step in increasing biodiversity on your property and beyond. Non-native plants often become invasive in your garden as well as other natural areas near you. They do not provide the same value for wildlife as native plants. Some non-natives are toxic to animals and insects. Restoring native plants and trees to your property is easy to do. For information about growing native plants such as found at Monocacy Hill, please feel free to contact us via email at info@monocacyhill.org.